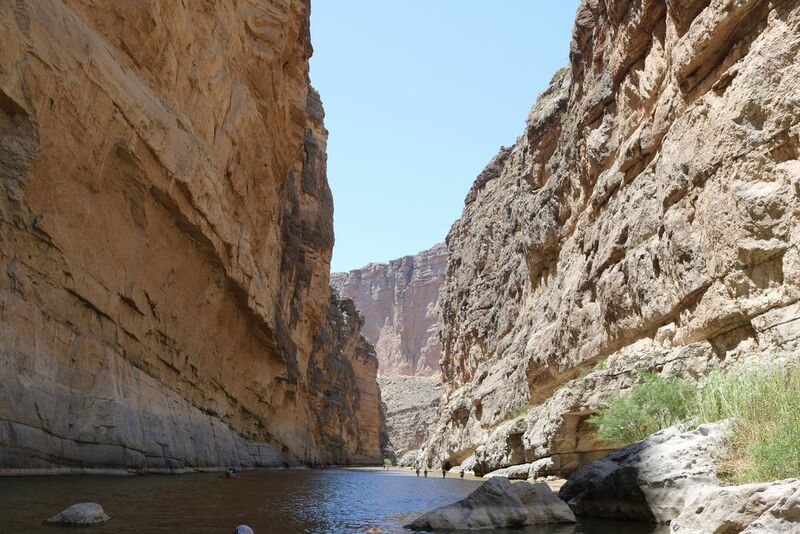 The Rio Grande just before it exits Santa Elena Canyon. Mexico is on the left and the US is on the right. The big, beautiful wall on the left created by Mother Nature prevents the wading Americans from illegally crossing into Mexico.